Feel free to get in touch with our hotel at any time to ask about our hotel rooms, amenities, or anything else that’s on your mind. Our friendly front desk staff are here 24-hours-a-day, happy to answer any questions you might have. If you’re interested in booking a meeting, banquet or special event at the Royal Hotel Lloydminster, please call or email us and one of our sales staff will be happy to assist you. When you’re ready to book your stay, book online for fast, easy and secure service with our best rates. 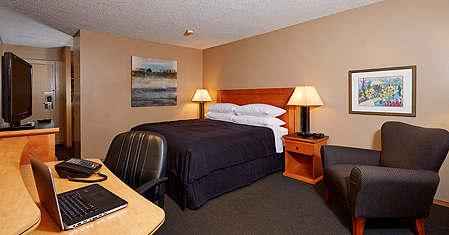 We look forward to welcoming you to Lloydminster.